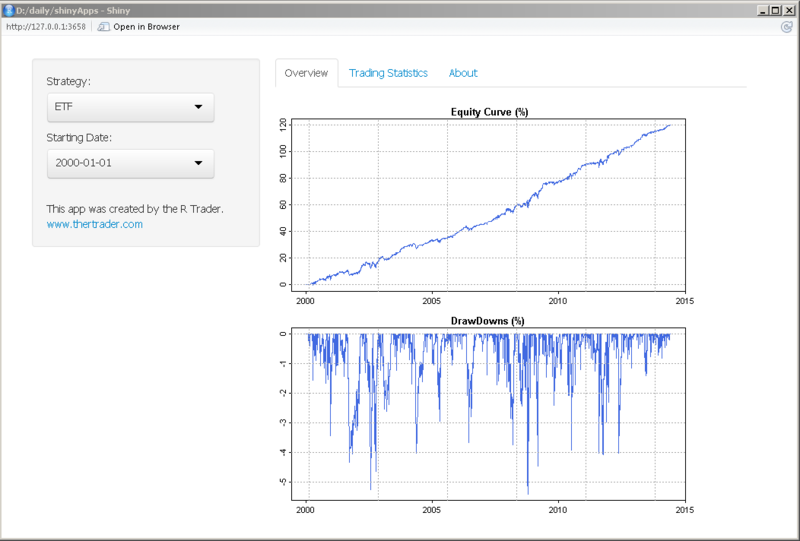 I can now access all my trading strategies from a single point regardless of the instrument traded. Coupled with the Shiny interactivity, it allows easier comparison. I can focus on a specific time period. The code used in this post is available on a Gist/Github repository. There are essentially 3 files. ui.R: controls the layout and appearance of the app. server.R: contains the instructions needed to build the app. It loads the data and format it. There is one csv file per strategy each containing at least two columns: date and return with the following format: (“2010-12-22″,”0.04%” ). You can load as much strategies as you want as long as they have the right format. 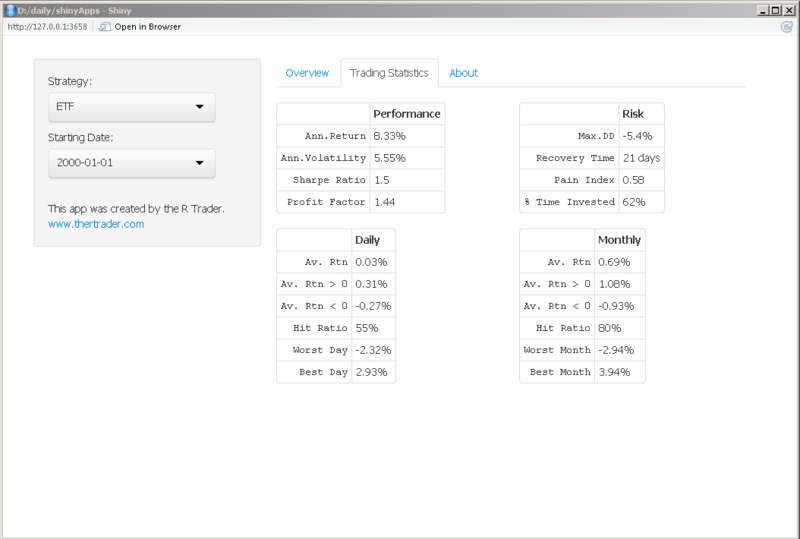 shinyStrategyGeneral.R: loads the required packages and launches the app. This app is probably far from perfect and I will certainly improve it in the future. Feel free to get in touch should you have any suggestion. A big thank you to the RStudio/Shiny team for such a great tool.